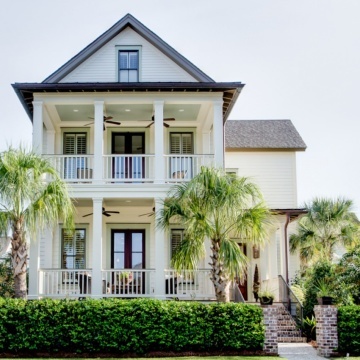 For JacksonBuilt Custom Homes, creating Lowcountry homes of unsurpassed quality and distinction is just one facet of custom homebuilding. By getting to the heart of the way a homeowner lives -- from hosting a party for family and friends to finding focus in an inspired workspace -- JacksonBuilt aims to create the kind of home where every room is a reflection of your needs, and your unique style. 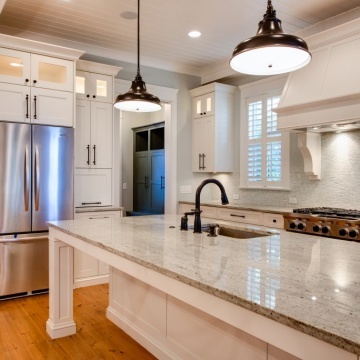 With an award-winning portfolio, JacksonBuilt Custom Homes is skilled at helping guide your vision with incomparable care while making the experience truly enjoyable. Our approach is straightforward, honest, and down-to-earth. We believe every home is an interactive project which requires collaboration at the heart of the process. With more than 16 years of homebuilding experience, Founder and President Richard Jackson has built a career based on a persistent standard for unsurpassed quality, flawless execution and a commitment to the highest level of customer service. These guiding principles have been the key to our success in creating remarkable custom homes. To ensure continuity and ease during the building process, our full-time professional designer guides clients through the personalization of design choices, selecting exterior and interior finishes, and navigating wish lists and budgets. To further enhance the experience, our customized web-based software allows us to manage each project online with efficiency, ease, and completely transparent lines of communication. Your personal client login gives you 24/7 access to online document sharing, scheduling, design selections, and even allows you to share photos with family and friends so they can track the progress of your beautiful new home. 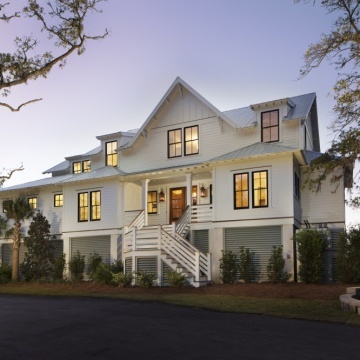 Whether your style favors the ease of a Lowcountry cottage or trends toward something more contemporary, each JacksonBuilt home comes together sharing the same uncompromised elements: an inspired design vision, thoughtful attention to budget, and a commitment to honoring the way the homeowner will live within its walls. We understand that building a home is one of the single largest investments you will ever make, often representing a culmination of years of hard work and aspirations. It is both our pleasure and our responsibility to make certain the highest standards are met, and that you are truly happy in a home that has your own beautiful, unmistakable signature on it. We found Richard Jackson and his staff very helpful and professional. The overall construction quality was superb; we have been very impressed with the attention to details and the ease of working with the JacksonBuilt people. This is the third house we have built, and by far the most pleasant experience in what is typically a stressful time. 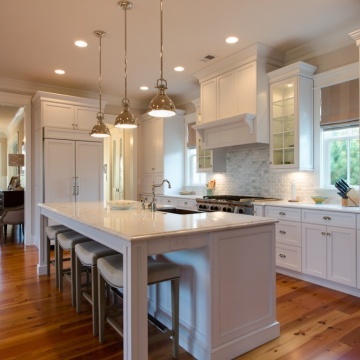 We chose JacksonBuilt to build our home in Charleston while living in Maryland. The communication from the team and regular picture updates, made the process smooth and the home of our dreams a reality. Prior to putting in an offer on our lot, Richard met with us and discussed the large oak trees on the property and how they wouldn't be a hindrance and instead would highlight the finished product. Allison made the selection process really easy, she provided us with options we never would have picked on our own, stayed in budget and in the end created a truly beautiful home. It was obvious throughout the build that JacksonBuilt's priorities are exceptional quality workmanship and complete customer satisfaction. We love our home and would highly recommend JacksonBuilt to anyone considering a custom built home. From start to finish, the process was smooth, exciting and more fun than we could have hoped. Richard's professionalism and attention to detail are unmatched. He is easy to communicate with, valued our time and, more importantly, he cared about the quality of our house as much as we did. Kimberly has a keen eye for design and was a pleasure to work with as well. She assisted us with interior selections every step of the way, from tile to paint colors to fabrics and furniture. We could not have asked for a better team to make our dream home a reality. We now truly have life long friends! Our home building experience with JacksonBuilt was a pleasure from start to finish. We love our home and loved working with the JacksonBuilt team. Our experience with JacksonBuilt was exceptional. We thought that managing a home construction project from a distance would be a challenge. However, it proved to be a seamless experience working with Richard and his professional and engaging team. First, the flow of communication was constant and informative. Second, if there were issues during the building process, Richard offered recommendations to address them that improved the final product. Third, it was a pleasure working with Allison who is a wonderful resource and has a keen design sense. Finally, Deniz and Eleanor effectively managed the day to day operations of the project so that it was completed on time and on budget. Each time we walk into our home, we marvel at how comfortable it makes us feel. Thank you JacksonBuilt. With Richard and his team there was a sense that this was a company we would feel comfortable having an ongoing dialogue with - who would be accepting of our ideas and also tell us if those ideas wouldn't be in the best interest of the final design and why. The fact that we would be building from a distance was also a consideration when it came to communications. Our experience could not have been better. Richard had many ideas during the design process that were implemented, and Alison made the selection process (something that early on seemed intimidating) enjoyable, and has a great sense of scale, context, color and client's style preferences and budget. Eleanor was always prompt at returning calls and setting up various services and meetings. In the end, our house is everything we hoped. JacksonBuilt's attention to detail throughout the process, from start to finish was exceptional, and evident in the end product. Probably the highest praise is that if we were to build another house, we would hire Richard and his team all over again. I am very pleased with JacksonBuilt Custom's quality and professionalism. They immediately responded to any questions or concerns that we had and provided excellent communication throughout the entire building process. They also paid very close attention to every detail of our project. One of the best things we can say about our experience with JacksonBuilt Homes is that they truly cared about our project. Richard was fully engaged and helpful during the architectural design phase of our home and was able to execute our vision. Allison was invaluable helping with the interior design and selections. She is extremely talented, very patient and did her best to keep me on budget. The entire staff is very professional and helpful. We absolutely love our new home and couldn't be more pleased with the final product. Not only would we recommend JacksonBuilt to anyone, but we would also hire them again if we ever built another home. They simply do NOT mass produce homes. Richard Jackson (owner) is intimately involved with every aspect of the project. All of the decisions, changes and updates are made quickly and precisely. There is no hearsay...Our biggest surprise and what completely exceeded our expectations was the Jackson team of people that worked with us. They are incredible at what they do in their respective responsibilities and simplify the entire process for you. When we started our project, we finally decided to go with JacksonBuilt Homes to work our new home in DI and now that the project is over, we consider them our friends! JacksonBuilt Custom Homes built our home with high quality workmanship while still keeping us on budget. Working each week with Allison to choose our finishings made all the difference in the end product. We love our new home! Excellent customer service. Easy to work with. Having a designer on staff was amazing. They did a great job on 2 separate projects we used them for! We felt they provided a beautiful quality home for a reasonable price. Their interior design person was fabulous to work with! From a friend who used them to build her house. We saw it and fell in love with it. 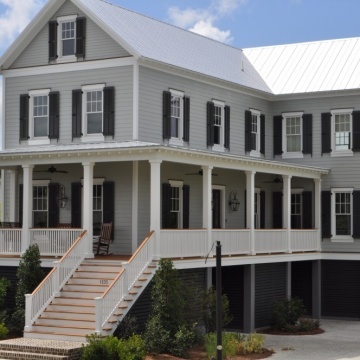 Jackson Built Custom Homes delivers as promise, they pay attention to detail, they are helpful and supportive in selection while ensuring that the home is everything you want it to be and I would absolutely recommend them to anyone. 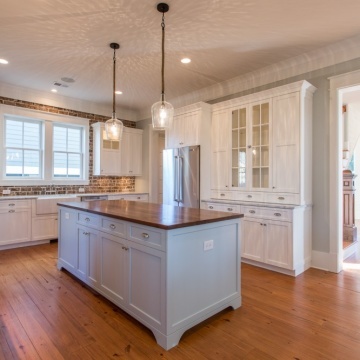 I was most satisfied with Jackson Built Custom Homes because they pay attention to detail and they make you feel like you are their only project. 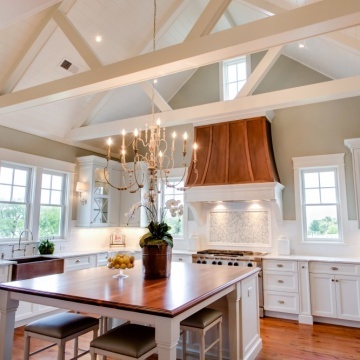 Jackson Built Custom Homes treats their customers with the utmost professionalism and care and they build your home as if they were building it for themselves. I enjoyed my experience with JacksonBuilt. We were not disappointed with them in the slightest! The company works together well, and they are great at staying in contact with their clients. I would recommend them to anyone. Overall great quality and great workmanship. I have recommended them to friends who are using them. I was most satisfied with Kimberly, Richard, and Brandon. They are very good people. We heard about JacksonBuilt Custom Homes from our real estate agent. Richard and his Jacksonbuilt Team are a quality craftsmen builder that will guide you through your home building experience from the architect /planning, permit stages through to when the last window pane is polished right before you move in. They are very professional and attentive but also very comfortable to work with. 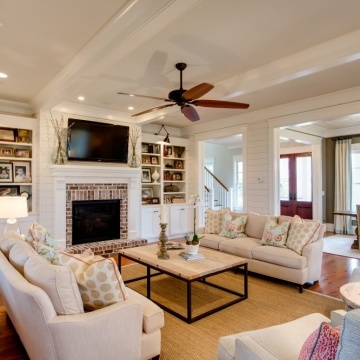 This comfort opens up a lot of room for dialogue about anything you might want to do in your home and they have the experience to make any of your dreams come true. This professionalism reflected again when we came in right on budget and right on time. What more could anyone ask for in a builder! We would highly recommend Jacksonbuilt Custom Homes! None- everyone associated with this organization is helpful and go completely out of there way to make the customer know they are being taken care of. We had multiple special area projects we wanted in our home. Jacksonbuilt knew how to make these happen and their expertise and guidance were excellent! We were living in New Jersey and wanted to move to Daniel Island. While looking for land we met Richard Jackson of JacksonBuilt Custom Homes. He showed us a home he had completed on Daniel Island, and several others in various stages of construction. We were impressed with the detail and quality. His crown moldings, window, door and baseboard trims were very much the style of home we wanted to build. Our only concern was that we were living 800 miles away in New Jersey and would not be able to oversee the construction. He assured us he would keep us "In the loop" during all phases of construction. After choosing the homesite and selecting JacksonBuilt, we provided a long list of "must haves" for our new home. Shortly thereafter, his architect provided preliminary plans which were close to what we wanted. We made several alterations, but all during the process we were able to make changes, even to the point of removing part of the second story and adding three feet to the end of the house. All during the construction process he was easy to work with and attentive to our requests and questions. 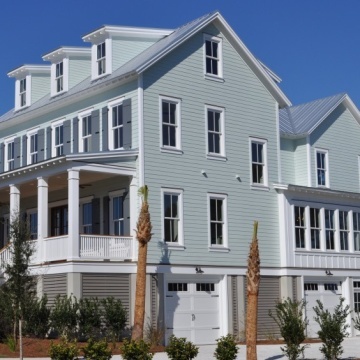 We made a trip to Daniel Island about every other month to review the construction and select all the many details necessary to make the house "our home". His design coordinator, Allison Casper, was a delight to work with, had many helpful suggestions, and always followed through on execution. This was the fourth home we had built and it went the smoothest, although we were the furthest away! We would highly recommend JacksonBuilt Homes to anyone who wants a well constructed home built by a detail oriented and responsive team. It was a pleasure to work with them. They did not. 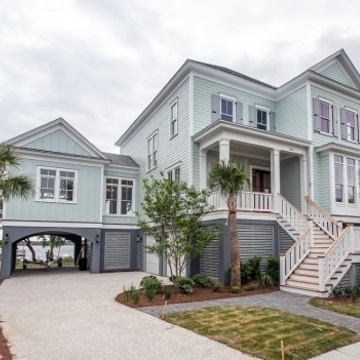 We were skeptical about having a home built in South Carolina while living in New Jersey. The process went smoother than expected, and we are very pleased with the results. His willingness to make changes throughout the entire building process. For example, we didn't firm up the design of the fireplace and surround until after the sheet rock was installed. They were also attentive to any blemishes or errors made by their subcontractors, and readily had them corrected. Quality of home we were able to build for the cost we paid. It is a great value and execution was timely and consistent. Really nothing of significance. This was our 27th house to build so we understand construction very well. They are a very high quality builder. Quality of the interior was above our expectations. Speed of construction was shorter than expected. The house is very energy efficient even with the large quantity of windows to maximize our view of the water. The house came in well under budget. They were within 1 week of their originally estimated timeline for completion, and they were also within 5% of the originally proposed budget, which in the construction world is pretty good. JacksonBuilt built a fabulous home for me. The house was built on time and on budget, with a huge focus on quality and craftsmanship. I have had minimal issues arise since the home was built 3 1/2 years ago. I would absolutely make the same decision again. They were very focused on staying on budget and making sure I got the best value for my money. They made many recommendations on where I could potentially cut to allow for other upgrades and still stay on budget. Awesome!!! JacksonBuilt far exceeded expectations on problem resolution. There were very few problems to begin with, but all were addressed with a sense of urgency and in a very effective manner. JacksonBuilt has a very strong focus on customer satisfaction. As a custom builder, they make each customer's experience unique. It can be a very stressful experience to build a house but they made it enjoyable and minimized the stress by their professionalism and proactive approach.